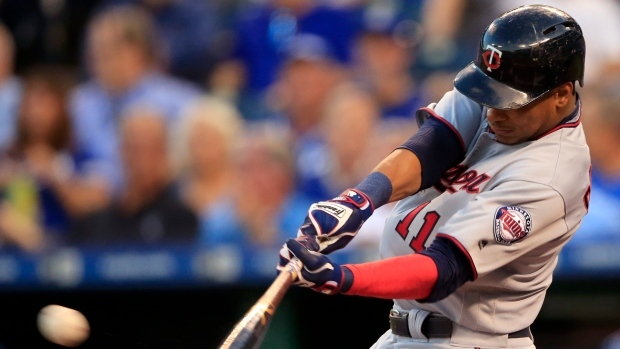 MINNEAPOLIS — The Minnesota Twins have locked up a pair of young position players for the long term by agreeing to five-year contracts with right fielder Max Kepler and shortstop Jorge Polanco. The contracts were announced Friday, a day after they were reached as pitchers and catchers went through their first workout in Fort Myers, Florida. Kepler's contract is worth $35 million and includes an option that could increase its value to at least $44 million over six years. Polanco's deal is valued at $25.75 million, has two options that could make it worth at least $47.25 million for seven seasons. Kepler, who turned 26 on Sunday, had agreed last month to a $3,125,000 salary for 2019 in his first year of arbitration eligibility. Entering his fourth full season as a regular in the lineup, Kepler won the team's defensive player of the year award in 2018. He never found a rhythm at the plate, batting a career-low .224, but he set his major league career high with 20 home runs. With this contract, the Twins could buy out his first three years of eligibility for free agency. With so many unsigned stars still on the market around MLB, the Twins have expressed caution toward such commitments with their not-there-yet status. So chief baseball officer Derek Falvey and general manager Thad Levine turned inward to begin assembling a core of what they're targeting as a future contender. Polanco, who will turn 26 in July, wasn't going to be eligible for arbitration until next year. Entering his third season as a regular, Polanco batted a career-best .288 last year in 302 at-bats after serving an 80-game suspension for testing positive for a performance-enhancing drug . One of the team's top prospects, Royce Lewis, is a shortstop who was drafted out of high school with the first overall pick in 2017, so Polanco could always find himself at a different position near the end of this deal. Another recent first-round pick, Nick Gordon, was selected fifth overall in 2014 as a shortstop out of high school. He has already begun to play some second base, having finished last year with Triple-A Rochester. Polanco's deal calls for $3,958,333 in each of the next two seasons, $4,333,333 in 2021, $5 million in 2022 and $7.5 million in 2023. Minnesota has a $10.5 million option for 2024 with a $1 million buyout, and the option would become guaranteed if he has 550 plate appearances in 2023 and Polanco is found to be healthy. If the 2024 option is exercised, the Twins can exercise a $12 million option for 2025 that has a $750,000 buyout. Base salaries in both option years would increase by $500,000 each for All-Star selection or winning a Gold Glove or Silver Slugger in each of the previous two seasons, with a $1 million maximum increase. He also can earn award bonuses annually for All-Star selection, finishing among the top six in MVP voting, or winning a Gold Glove, Silver Slugger, the World Series MVP or the League Championship Series MVP. Kepler's new deal calls for $6 million this year, $6.25 million in 2020, $6.5 million in 2021, $6.75 million in 2022 and $8.5 million in 2023. Minnesota has a $10 million option for 2024 with a $1 million buyout, and the option price would increase by $500,000 each for All-Star selection or winning a Gold Glove or Silver Slugger during 2022 and '23, also with a $1 million maximum increase. He has a similar awards package to Polanco's, and he gets a suite on road trips in 2023 and '24.